All our work depends on getting fair districts in 2021! Join OFA Marin and Democracy Action Marin for a community gathering and learn from former Attorney General Eric Holder about how gerrymandering impacts the issues we all care about. You'll gain an understanding of opportunities and challenges we must address to ensure fair maps for all. It is fitting that the kick-off for this nationwide campaign for fair districts takes place on the 9th anniversary of the signing of the Affordable Care Act into law. Fair maps will impact health care policy, and as one example of how partisan gerrymandering impacts our lives, we will look at how gerrymandering has impacted health care policy and find out what can be done about it. 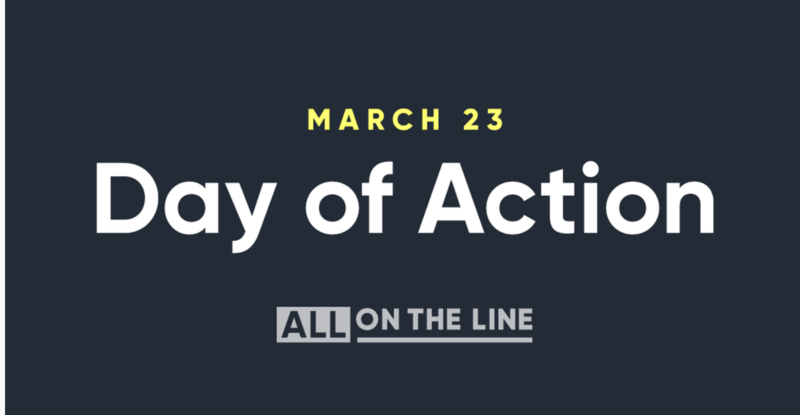 Learn about the powerful new campaign Eric Holder launched on February 21st: All On The Line. It combines legal actions, electoral targets, ballot initiatives, and grassroots organizing in a comprehensive strategy. There are urgent roles for us to play, even here in the deep blue Bay Area!